The Stones have always been an “in your face” kind of group right from the start of their career, and maybe why this album’s initial track remains so emblematic1. Their eighth studio album for their own label a mixture of outtake material2 and covers. Of course, by this time most bands in the world would be more than happy to have an abundance problem like this given the caliber of the tracks on the LP in question3. Once more, the Grammy-award winning graphic designer Peter Corriston brought a distinct touch to a Stones cover. His oddly mesmerizing, legally challenged Some Girls4, which already tilted expectations askew for such artwork when it came to the group. As did the unsettling medical imagery of Emotional Rescue, then this. Tattoo You implemented its body mod title literally and provocatively (for its day); impossible to ignore, in other words. With photographs by Hubert Kretzschmar and illustrations by Christian Piper, it couldn’t be more “in your face” than this. Don’t know if I’d agree with Emily Barker, “That’s Mick, of course, under all those tattoos, an unwitting prototype for models that appeared in a Duran Duran video for the following five years.” Still, the boldness of the heavily tatted, facially inked to a haunting degree, in grayscale against a strikingly red background can’t help but stand out. But that’d be the point of any Stones album, now wouldn’t it? Tattoo You earned the band a Grammy Award for Best Album Package. Not being a huge Stones fan this one kinda passed me by; however it’s a lovely looking cover! A Grammy, eh Michael? What were the other contenders, I wonder? 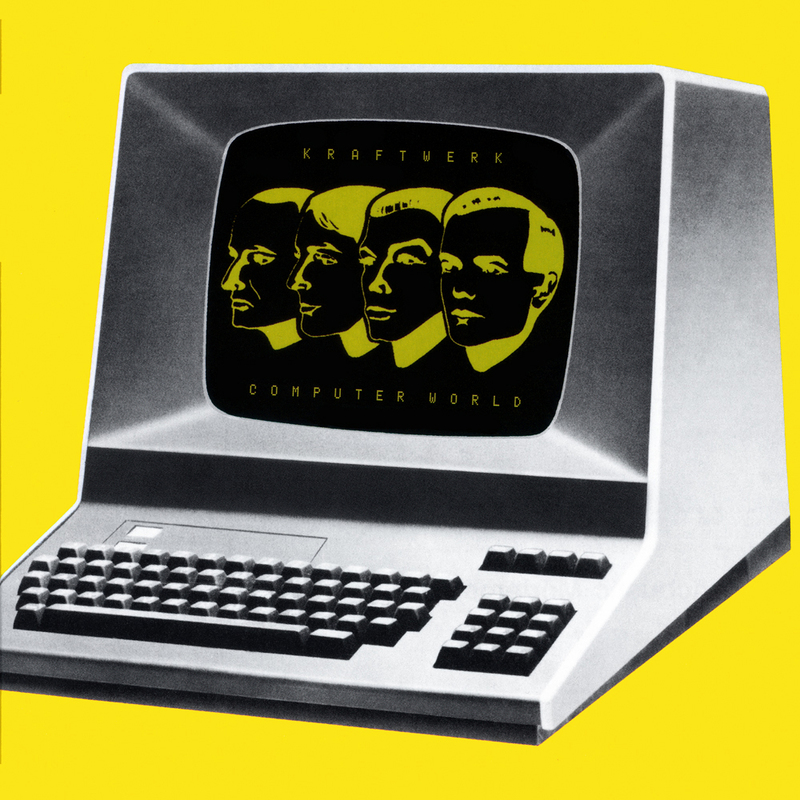 Some nominees might include: OMD’s ‘Architecture and Morality’ for design and a die-cut sleeve (not to mention a classic Alan Partridge moment); ‘Heaven up here’ by Echo and the Bunnymen; Siouxsie and the Banshees ‘Juju’, and my personal fave: ‘Computer World’ by Kraftwerk. I enjoy this occasional series very much. Just finished a look at each of your suggestions, Bruce. Oh, these are splendid, indeed. Kudos. I know most of those, and have the Carla Bley (which is a brilliant cover!). Would love to hear if any others tickle your fancy.